Our team of experienced professionals works together to offer Ink Cartridges. We manufacture these cartridges following the industry laid parameters and the international quality standards. The cartridges which we offer are manufactured using advanced machines by our well-trained professionals. The materials required to make these cartridges are first quality tested to ensure durable end products. The Ink Cartridges widely demanded by various industries for their excellent performance and durability. Ours is a customer-focused company, which is offering Printer Toners. We offer this product in different colors and at affordable prices with an assurance of timely delivery of the consignment. Our toner is acclaimed by customers for its bright color, easy fitting in the printing machine and leakage-free plastic covering. The product is made as per the industry set standards. The toner is available at a very reasonable price. 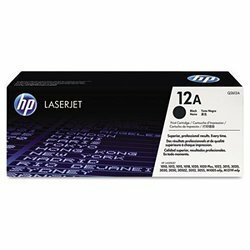 We have a very wide network of distribution, which enables us to offer an extensive range of HP Printer. 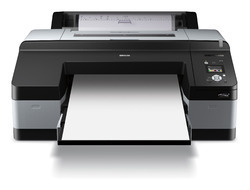 These printers are used to print photo ID cards for schools and corporations. The printer is manufactured under the firm observation of the expert supervisors, using high-quality materials. Our quality inspectors check the printers on efficiency and durability parameters before offering to the clients at reasonable price. Looking for Printer Accessories ?